A crash between two vehicles in North Las Vegas closed a heavy-volume intersection on Tuesday night. 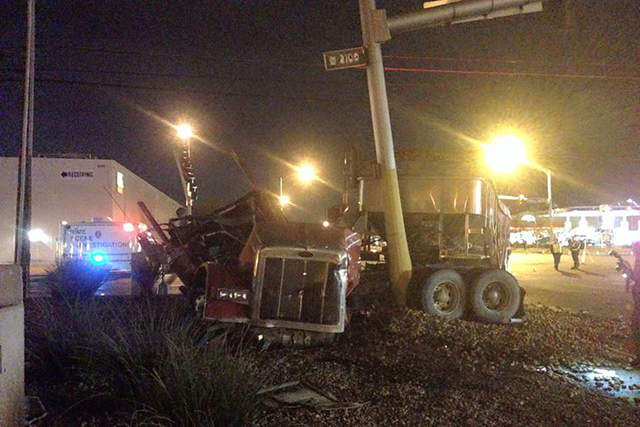 A two-vehicle crash in North Las Vegas closed a busy intersection on Tuesday night. At 7:15 p.m., North Las Vegas police responded to a crash between a semitruck and one other vehicle at the intersection of North Martin Luther King Jr. Boulevard and West Cheyenne Avenue. 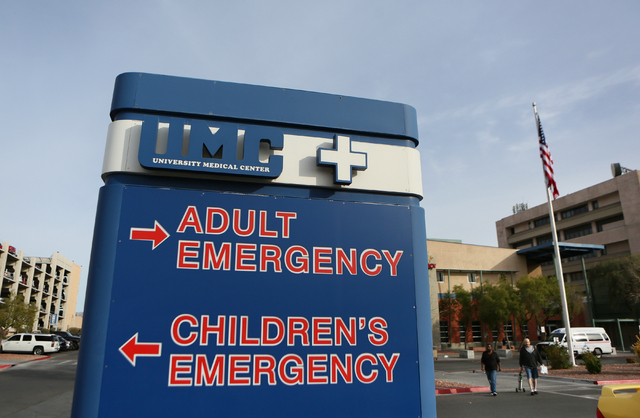 The driver of the truck was transported to University Medical Center with injuries that were not life-threatening, according to North Las Vegas spokesman Aaron Patty. Neither car had passengers. The intersection was not expected to reopen until at least 10:00 p.m., according to police.